This epic film is the touchstone for football art as a genre. Douglas Gordon and Philippe Parreno trained their fleet of high-end cameras on just one player­­—France’s brilliant Zinedine Zidane—for an entire game. It is a footballing soliloquy that shows the innate beauty of the game in all its cinematic glory. In this sombre video, Francis Alÿs uses football to kick up a political stink in a place that has been forgotten. The Belgian artist knocks a flaming ball through a deserted Mexican border town, tracing a path through dereliction, crime and poverty. Donald Rodney was part of the Blk Art Group alongside the likes of Lubaina Himid and Claudette Johnson. This piece, a lightbox photograph, shows Liverpool and England’s John Barnes, a banana thrown at his feet, exposing the racism that coursed— and still runs deep—through the game and wider society. Shocking, sensual and balletic, Eddie Peake’s Touch—and its two later iterations, Duro (2015) and Gli Animali (2017)—pitches 10 men against each other in a game of football just like any other… just, you know, without any clothes on. Part live-action classical Greek sculpture, part performance art titillation. Like the true Pop art magpie that she is, Rose Wylie absorbed her artist-husband Roy Oxlade’s love of football and turned it into this enormous frieze featuring Wayne Rooney, John Terry, Ronaldinho, Jens Lehmann and Thierry Henry. It is the subtle, aesthetic joy of football captured in Wylie’s true simplistic style. 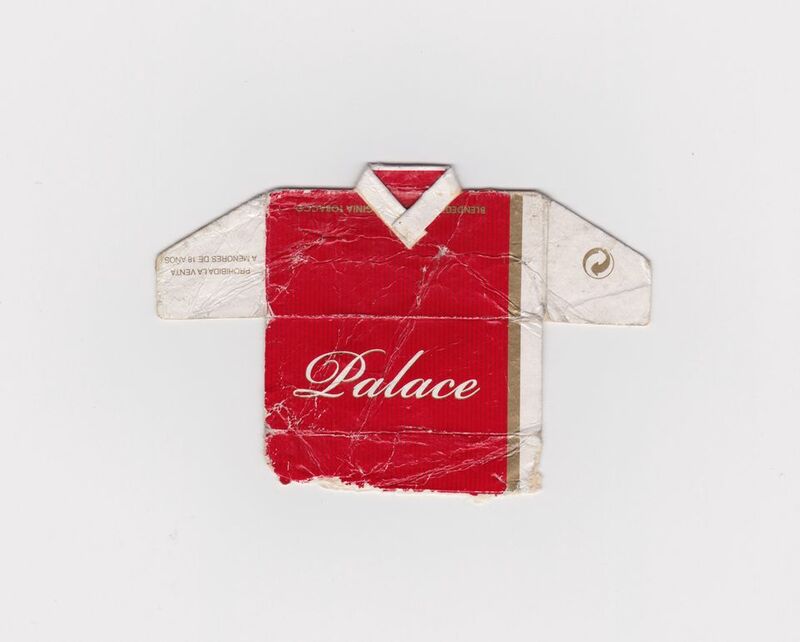 For more than two decades, Leo Fitzmaurice has been snipping and folding cigarette packets into tiny little football shirts. As cute and simple as they seem, they are also filled with ideas of consumerism, globalisation and the clash between advertising and football. Football is a team sport, with a huge collection of coaches and support staff behind the scenes, and behind all that: millions of fans. Furlan has restaged a selection of classic, politically-tinged football matches, but he is the only performer. He inhabits a single player, memorises their moves, and plays out the whole game by himself. Tragic, comic, solitary and surprisingly graceful. Lots of the best works of football art are performance-based, and Ann Veronica Janssens’ piece is a great example. Over the course of a match, the pitch becomes ever-more inundated with fog, leaving the players isolated, alone and blind, moving from a collective to a group of individuals. 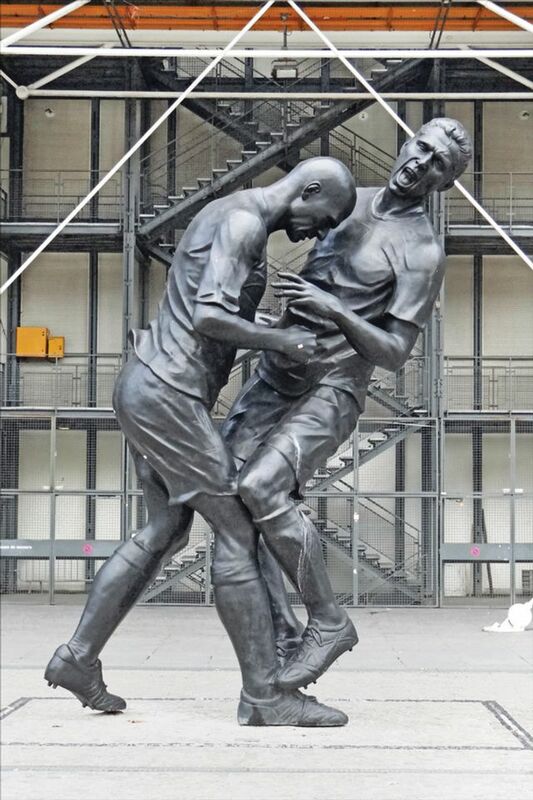 As stunning a footballer as Zinedine Zidane was, he will also always be remembered for headbutting Marco Materazzi during the 2006 World Cup final against Italy and being sent off, dooming France to defeat. Ignominious, yes, but an unforgettable moment of brute force and passion captured in monumental style by Adel Abdessemed. There is no ball in Paul Pfeiffer’s video edit of England’s World Cup-winning defeat of Germany in 1966. Even the players seem to disappear and diffuse. It is a ghostly work that echoes with crowds cheering, but also somehow the phantoms of victories long gone. The Polish artist Marcin Dudek was a teenage football hooligan, a violent tearaway whose life was saved when he fled to art school. His work refers to his brutal past, including this series of jesmonite, plaster and terracotta casts of balaclavas worn by fellow Ultras.